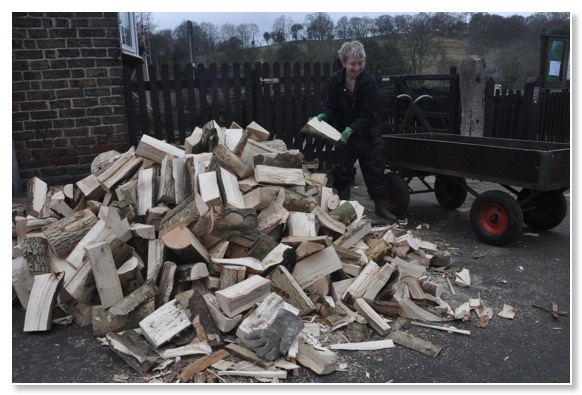 We spent a busy couple of hours hauling logs up to the coffee shop, from the street where they'd been tipped by the man from Mulgrave estate. We use our hand trolley to move it from the road the 125 yards up to our place. About thirteen trips is what it takes, avoiding the temptation to overload the trolley and make it too heavy for the slopes we have to negotiate. This provides lots of opportunities to spark helpful comments from passers-by: "They say wood'll warm you twice" "Expecting a blizzard are we?" "Not got that stacked yet?". The Mulgrave man told Bill: "It's good stuff this; all Ash." Funny thing, the English language —as if the tree is named for what it will eventually become: Ash to ashes. 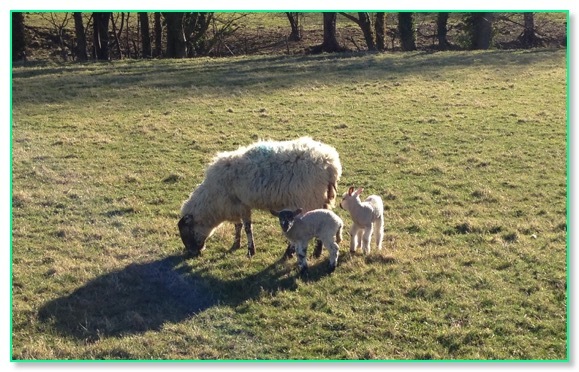 We saw the first of this year's lambs on our 'after work walk' the other day. It's great seeing them and having the excuse to use the word 'gambolling' again, not to mention jokes about baa coding them so they can be more easily recognised. Spring is definitely coming. 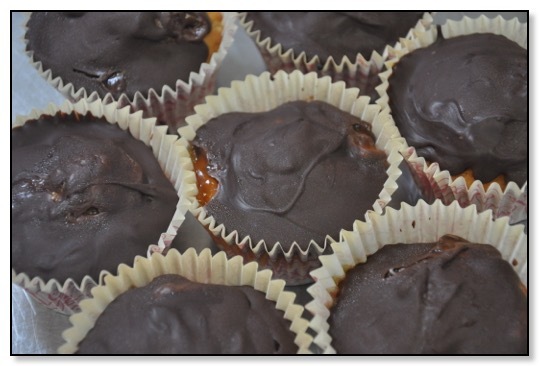 Emily baked these chocolate orange cup cakes for our first open weekend in March. They went down well. The weekend marked 50 years since the Whitby to Pickering line was closed as part of Dr Beeching's 'rationalisation' of the railways. Ironically, it carries many more passengers as a heritage steam line than it ever did before.